Laborde Dermatology is a comprehensive Dermatology practice located in the Uptown/Galleria area of Houston, Texas that specializes in Laser and Cosmetic Dermatology. The practice utilizes the most advanced technologies combined with detailed attention to patient care. The practice is under the direction of Stephen Van Laborde, M.D. who is board certified by the American Board of Dermatology and fellowship trained in Laser Surgery, Cosmetic Dermatology, and Dermatologic Surgery. 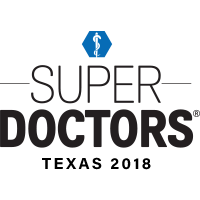 Dr. Laborde was selected for inclusion in 2010, 2013, 2014, 2015, 2016, 2017 and 2018 Texas Super Doctors™. Patients seek the expertise and artistic style of Dr. Laborde because of his distinguished ability to improve your appearance in a way that creates beautiful, natural results. Dr. Laborde’s aesthetic offerings include Botox® and Dysport® for the treatment of facial wrinkles and excessive sweating, filling agents such as Juvederm®, Voluma®, Restylane®, Vollure® and Volbella® for wrinkle correction, volume restoration, and lip augmentation. A broad range of laser procedures for vascular birthmarks, facial redness, rosacea, brown sunspots, hair removal, acne, acne scarring, tattoo removal, and photoaging are also offered. In addition, minimal to no downtime aesthetic procedures such as Kybella™ for the reduction of fat under the chin and Thermage® for facial and body skin tightening are offered. Sclerotherapy for the treatment of unwanted leg veins, antioxidant/glycolic peels and microdermabrasion are also available. Dr. Laborde’s goal is to provide a positive experience for patients in a relaxed and comfortable setting. His attention to detail and the personal connection he builds with patients allow him to provide a level of analysis and care to create beautiful skin. Dr. Laborde knows that patients want subtle, non-invasive treatments that reveal their natural beauty. He is eager to discuss how these treatments can help you achieve a beautiful complexion. For those seeking the expertise of a Board Certified and Fellowship trained dermatologist you have come to the right place. Dr. Stephen Van Laborde personally sees and performs all procedures in his practice. For individualized cosmetic and medical dermatology services, patients may contact Laborde Dermatology to schedule an appointment.